The NIA team had landed in Ludhiana Friday. On October 21, Punjab Chief Minister Captain Amarinder Singh announced that the state government had decided to hand over the probe to the NIA. 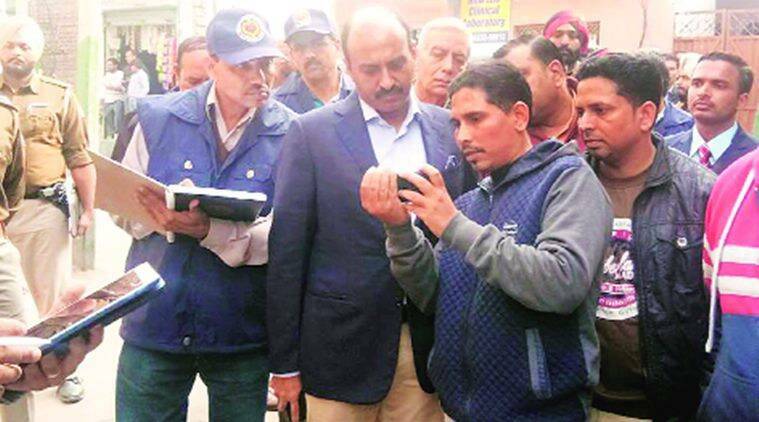 A day after reaching Ludhiana to probe RSS leader Ravindra Gosain’s murder case, a team of the National Investigating Agency (NIA), led by senior officer GP Singh, visited the crime spot and met the deceased leader’s family on Saturday. A team of officials reached Gaganajit Colony in Basti Jodhewal area and inspected the crime spot. Later, they also spoke to Gosain’s family and gathered some details about his daily routine, the sequence of events that happened on October 17 among others. The team visited the RSS shakha while inspecting the route that Gosain used to take on a daily basis. According to sources, the team also interrogated UK nationals — Jimmy Singh and Jagtar Singh Johal alias Jaggi — the two main accused in a series of targeted killings in Punjab. The two accused are now in the custody of Ludhiana police. “The NIA team interrogated them for at least three hours. They, however, said that three hours were too less to extract crucial details from the accused. They might interrogate them again during their next visit,” said a police source. Meanwhile, Deepak Kumar, son of slain RSS leader Ravinder Gosain, said that the team asked for basic details about his father and they fully cooperated. “They asked us about my father’s daily routine. How and when he used to visit the shakha and what exactly happened that day. They also said that we will be called for some more questioning in the near future,” he said. Deepak also said that they have not yet been allowed to meet the two main accused — Jimmy Singh and Jagtar Singh Johal. “We had expressed this on day one of the arrests that we want to see and personally meet the accused. But till now, we haven’t been allowed to meet them. We request the police again to arrange our meeting with them. We personally want to ask them why they did this and killed our father. Is being part of RSS a crime in this country,” asked Deepak. The NIA team had landed in Ludhiana Friday. On October 21, Punjab Chief Minister Captain Amarinder Singh announced that the state government had decided to hand over the probe to the NIA. On Thursday, the union home ministry asked the agency to take over the probe. A few days back, Punjab DGP Suresh Arora claimed to have solved a series of targeted killings in Punjab including that of Gosain with the arrest of five persons, two UK nationals Jimmy Singh and Jagtar Singh alias Jaggi, two alleged hitmen Ramandeep Singh and Hardeep alias Shera, and one jailed gangster Dharmendra Guggni.